Kenneth “Ken” G. Weber, age 67 of rural Arlington, passed away unexpectedly and peacefully at his home on Wednesday, January 23, 2019. Memorial Mass of Christian burial will be 11:00 a.m. on Tuesday, January 29, 2019 at St. Mary’s Catholic Church in Arlington. Visitation will be from 4 to 8 p.m. on Monday, January 28 at the Kolden Funeral Home in Arlington, and will continue at the funeral home on Tuesday morning one hour prior to Mass. Interment will be in the St. Mary’s Catholic Cemetery, Arlington. Ken was born on October 30, 1951 to Walter and Gertrude (Keske) Weber in Robbinsdale, MN. He graduated from Osseo High School. On October 27, 1978, he married Jody Haggenmiller. Ken worked as a warehouse maintenance mechanic at Seneca Foods in Arlington from 1981-2013. He was a Knights of Columbus member. Ken enjoyed shaking dice and having coffee in the morning with his friends up at Stu’s in Arlington. Ken was very mechanically inclined and enjoyed spending his free time in his shop working on various projects, which included fixing up old cars, hot rods, and even building his own wind generator. He enjoyed studying up on genealogy, collecting coins, and he especially enjoyed playing and spending time with his grandchildren. Ken is survived by his wife, Jody; children, Angie (Nels) Haug of Shakopee, Will Weber of Westport, SD, and Matt Weber of rural Arlington; grandchildren, Grant Haug, Hudson and Dawson Weber; siblings, Anette Talbot of Elk River, Judy Knapp of Albertville, and Gerald (Judy) Weber of Rogers; sisters-in-law, Joanne Weber, Judy Weber, and Eleanor Weber; mother-in-law, Edythe Haggenmiller; brothers-in-law, Dan and Pat Haggenmiller; and many nieces and nephews. 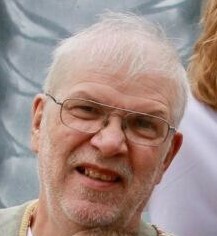 He is preceded in death by his parents; brothers, Harlan, James, and Charles; sister, Beverly (Leon) Ebner; father-in-law, Ambrose “Bud” Haggenmiller; and brothers-in-law, Terry and Mike Haggenmiller.